MC Garden Maintenance and landscaping. Based in Fethard Serving all towns in Tipperary including Clonmel/Cashel/Cahir/Fethard/Killenaule/Carrick-on-Suir. Also serving Waterford and Kilkenny. 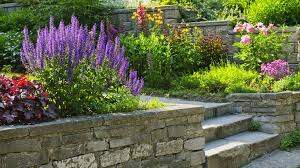 We specialise in Grass and Hedge Cutting ,Garden Clearance, Fence Staining, Gutter Cleaning and Repairing. We also lay Patios and decorative stone, kerbing and sleepers. For a Free Quotation Call us on 086 3241608.